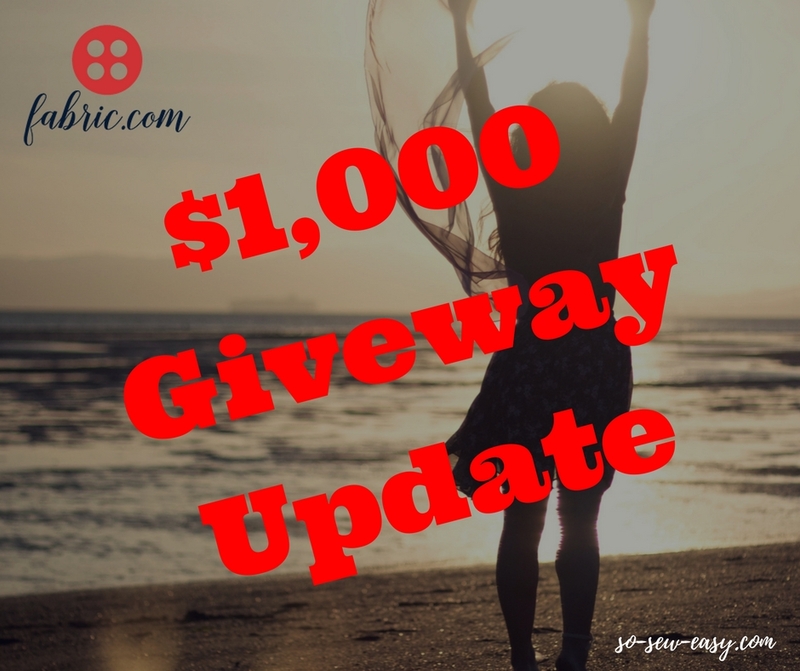 I just wanted to let everyone know that the new $1,000 Fabric.com Giveaway is well underway. However, there was a problem with the “Tell Us What You'd Make With This” option to enter with a comment on the page. Unfortunately, only a small portion of the comments that readers wrote actually made it to the site. If you entered the contest this way, you will have to re-do your entry. Don't worry, it's free and I've updated the fabric selection to make it a bit more interesting. We received a lot of positive feedback, so you may have noticed that we moved our hosting to an even larger web host recently. The site is a lot faster, particularly at busy times like Sunday after the weekly newsletter goes out when many, many readers are on the site. However, in the process of moving to the new server, the plugin that scans our comments for spam got disconnected, so most reader comments simply didn't make it to the site. It's all fixed now and thanks to reader, Linda L., for pointing this out. This actually applies to all reader comments on the site for all the other articles too, not just the contest comments –so if you left an important question but don't see it appear on the page, you may have to re-enter it. We're really sorry about this, but in complex systems, these sorts of things sometimes happen. Good luck to everyone in the contest! I would make some pillow covers. I would make a tote bag or book bag. I could make a pillow from this fabric. I would use the majority of this fabric for clothing under privilege boys and girls. I would make a skirt. It would be a hippie-ish quilted, embellished tall narrow wall hanging for my hippie-ish place. I would make a tote bag with that lovely material. I am currently planning out my fall sewing plan, and this would make an amazing suit or dress with coat. The endless number of colors – the combinations with solids would be endless. With a beautiful jewel tone lining, this would be the envy of everyone who sees it. Who needs store bought with this fabric! I would make a quilt, and possible a cool top. This would make a wonderful dress or skirt, and one to match my granddaughter, too! My wife could make a table runner. I would make a summer sleeveless, princess lines dress . I envision making a cool maxi skirt with this border print fabric!